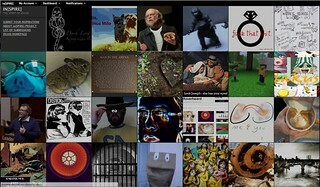 Here is the image of the Visual Assignment: Common everyday object. The blog response will be fleshed out. *: This assignment was pretty straightforward, simply take an image of ‘Everyday items’ and alter the color/effects so that the items are slightly off. 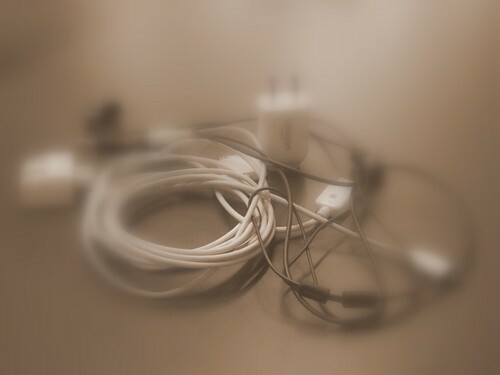 I decided to go with an image of ubiquitous items like accessory cords for a computer, just a little tangled like they so often are. Afterwards I simply turned the image to a sepia tone and focus a blurring circle on the center of the image. I feel that these effects mostly describe how tangled cords can be viewed, in that when woven together they create a barrier to their use.